Did you hear about Abigail Adams’s scandalous brother? Colonial reenactor Donald Hafner has written a new book about Captain William Smith, the leader of Lincoln’s Minutemen. 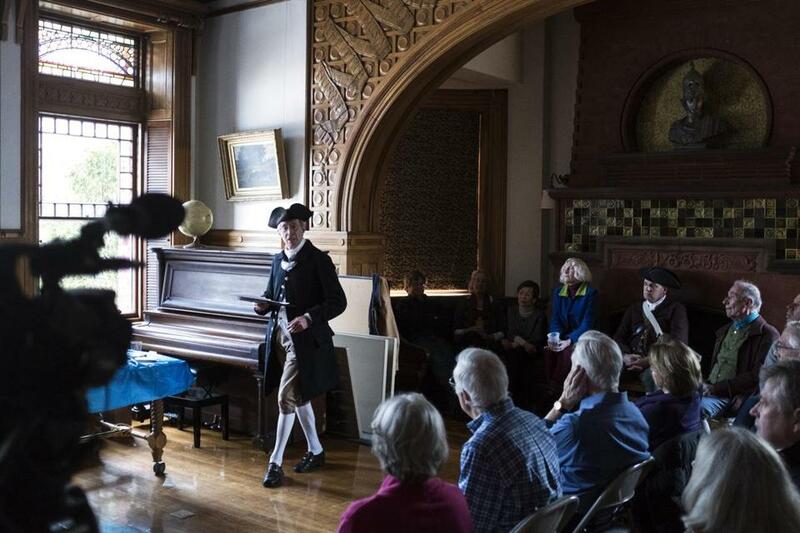 As a Colonial reenactor, Donald Hafner has heard plenty of tales about William Smith, the captain of the town of Lincoln’s Minutemen battalion when the American Revolution began. History has painted Smith as a volatile, heavy-drinking, unreliable thug who ran up debts that his sister Abigail Adams had to pay off. And yet, Hafner contends, the evidence simply doesn’t exist that Smith’s dastardly reputation was well-earned. Why would such a man be elected as captain of Lincoln’s Minutemen, made an officer in the Continental Army — or later, in a second career as a marine privateer, entrusted to safeguard a prize ship worth a fortune? It’s the kind of question that leads historians to do further research. And it’s the kind of question that led Hafner,who taught political science at Boston College for more than four decades, to write a book, “William Smith, Captain: Life and Death of a Soldier of the American Revolution,” published last month by the Lincoln Historical Society. Hafner was particularly suited to the task. 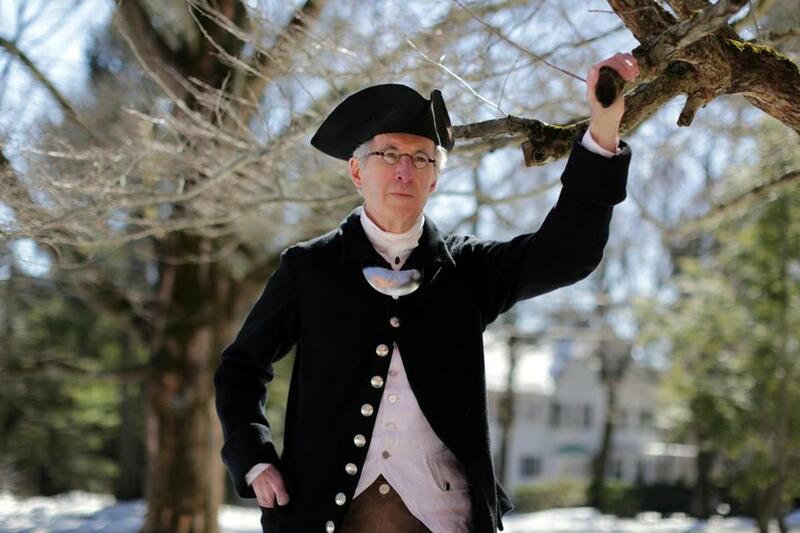 As a historical interpreter, he dresses up in Colonial garb, with tricorn hat and artillery, to participate in the yearly Patriots Day observances in Concord and Lincoln. Captain Smith was no minor player when the revolution began on April 19, 1775. Before dawn that day, he received the alert that British soldiers were on the march, and hurried to Lincoln Center to muster his fellow Minutemen, who were among the first units to come to Concord’s defense. Debate ensued among the soldiers about where to position themselves and whether to advance all the way to Concord Center, where they mistakenly believed the British were torching buildings. Captain Smith was one of the few urging decisive action, and so the Minutemen finally moved as a column toward the North Bridge. In the day-long battle that followed, as the British retreated toward Boston, Captain Smith and his men continued in pursuit and then joined the vast colonial army encamped in Cambridge, beginning the long siege of Boston. The impetus for Hafner’s book project came nearly two years ago, when he was called upon to draft a few pages of information for fellow historical interpreters at the Captain William Smith House, which is part of Minute Man National Historical Park. Proving a negative is never easy, Hafner concedes. But tracking down the truth was made more difficult by the fact that a grandson of Adams, Charles Francis Adams Sr., heeded her request to destroy all existing correspondence between William Smith and his family. Hafner thinks the allegations have as much to do with Adams’s rigorous standards of comportment as with Smith’s actions. And he does suspect that Smith was a heavy drinker — but probably not until near the end of his life. Hafner, who estimates he spends “half [his] life in 18th-century garb,” first caught the reenacting bug in 1986, when he met the late Wayne Mount, a longtime captain of the modern-day Lincoln Minute Men. Hafner discovered he liked reenacting history as much as he liked studying it. Hafner taught himself to play the fife by laying the instrument on his kitchen counter and practicing it every time he was waiting for water to boil for a cup of tea. Now he marches every year in Concord’s and Lincoln’s Patriots Day festivities. Over the 30-plus years he’s worked as a historical interpreter, Hafner has watched the public grow steadily more enlightened about history. “The public’s knowledge has improved as a result of the excellent popular literary works, beginning with David McCullough writing about John Adams and continuing with Ron Chernow’s books on Alexander Hamilton and George Washington,” Hafner said. Yet with this wider appeal comes more room for misinterpretation, he said. Donald Hafner appeared at the Lincoln Public Library to discuss his new book about Captain William Smith.